Entry for this week's 100 Word Stories Challenge. The prompt was "Border. Photo courtesy Shelly and Donald Rubin Foundation. Best viewed in larger size. a hospice bed; the end of pain. 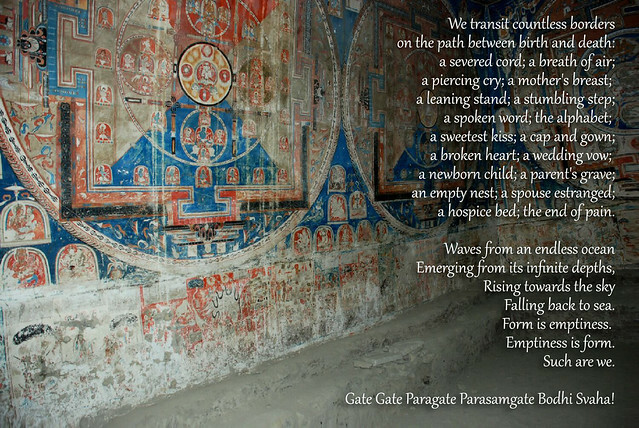 Gate Gate Paragate Parasamgate Bodhi Svaha!